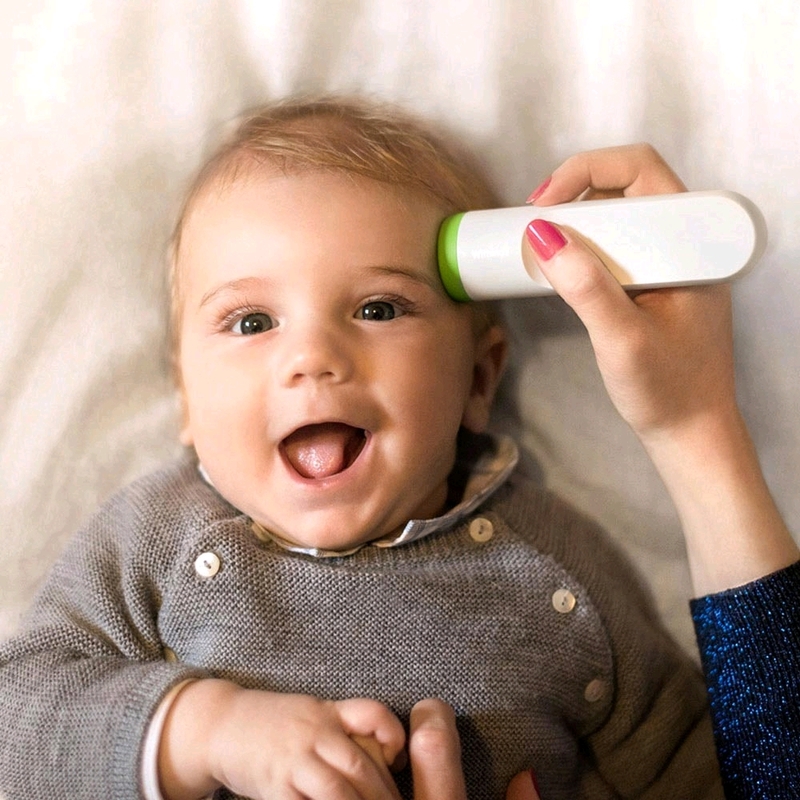 Traditional thermometers have always made you choose between comfort and accuracy, and don't help you monitor the health of the whole family. Thermo is a game changer. 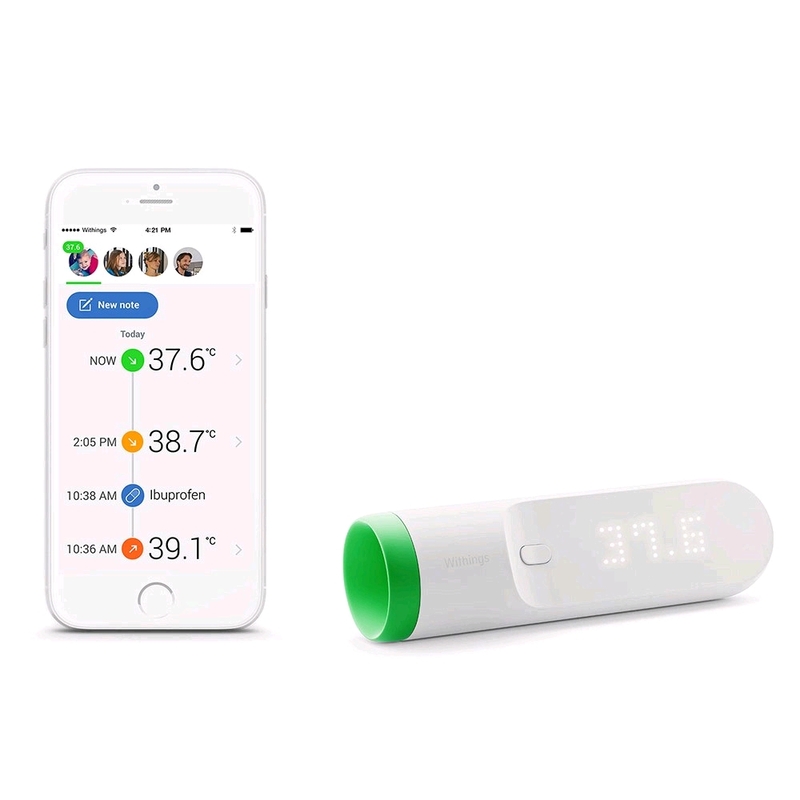 Via our revolutionary HotSpotSensor™ Technology, a simple gesture yields the most precise temperature possible, and automatic Wi-Fi sync with the dedicated Thermo app allows you to track temperature readings, get reminders and input related symptoms/medications right on your smartphone. With 16 infrared sensors and our patented HotSpot Sensor™, Thermo finds the hottest spot and provides a highly-accurate temperature reading in only 2 seconds. Thermo synchronizes automatically with the dedicated app via Wi-Fi or Bluetooth. Within the app you get a temperature diary, a simple analysis and you can include relevant information such as medication and/or symptoms. You can easily share the Thermo diary with your doctor at any time with one click. A light touch on the temple is all it takes: Thermo delivers color-coded temperature feedback that is relevant to the user's age profile, to help you easily understand the reading. And since there is no contact with earwax, saliva or any other body fluid, Thermo is by far the most sanitary way to take anyone's temperature.